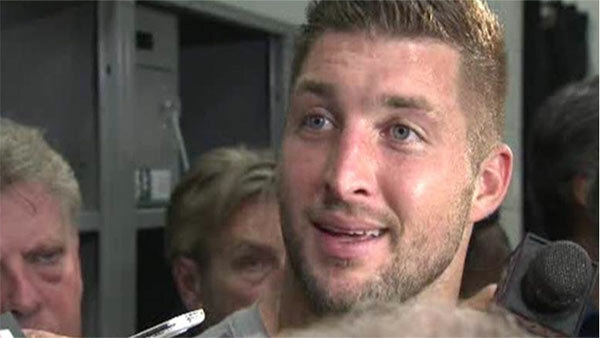 PHILADELPHIA -- The Eagles have released Tim Tebow, ending the former Heisman Trophy winner's bid to win the No. 3 quarterback job for Chip Kelly in Philadelphia, a source told ESPN's Adam Schefter. Eagles released QB Tim Tebow, per source. All NFL teams must reduce their rosters to 53 players by 4 p.m. ET on Saturday, but Tebow appeared to be in contention for a roster spot after Philadelphia traded Matt Barkley to the Arizona Cardinals on Friday. Tebow, 28, and Barkley had been competing for the Eagles' No. 3 quarterback job behind Sam Bradford and Mark Sanchez. It is not clear whether Philadelphia plans to acquire another quarterback. Tebow won the 2007 Heisman Trophy and helped Florida win two national championships during his decorated college career but has not appeared in an NFL regular-season game since December 2012. WPVI-TV sports anchor Jeff Skversky posted more on his Facebook page.